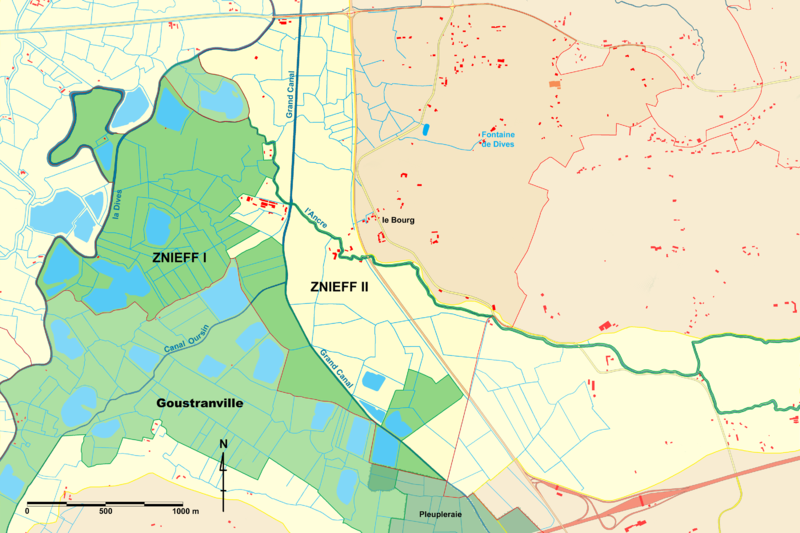 A ZNIEFF is a natural zone of ecological, flora and fauna interest ('zone naturelle d'intérêt écologique, faunistique et floristique' in French). These zones are not part of a statutory protection system even if projects concerning them are subject to declaration. ZNIEFFs are created when nature inventories are performed under the Inventaire national du patrimoine naturel (French national inventory of natural heritage). Once their interest is recognised and they are validated by a committee of scientific experts, ZNIEFFs become instruments of knowledge as well as of territorial development. Type II ZNIEFF are more extensive, present ecological and landscape coherency and are rich or relatively untouched, with strong ecological potential.